Megan is currently an undergrad student at UVM studying exercise and movement science and also works part time at Essex Physical Therapy. She played Nordic for 8 years (U11-U18) and started coaching when she was a U13. 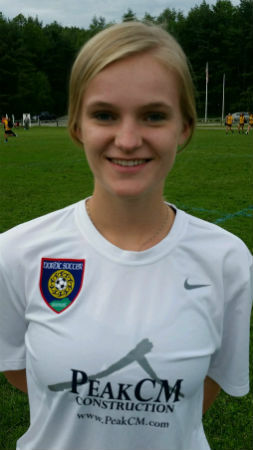 Megan currently plays on the UVM Club team who have gone to Nationals the last two years! In her free time, she enjoys doing anything outside including running, hiking, and yoga and during the school year she helps run an exercise program with preschoolers for a research study. United States Soccer Federation "E" license.